“Lite-On Semiconductor, a maker of discrete and analog IC components, is expected to see its second-quarter revenues register a double-digit sequential growth as it will soon kick off volume shipments of GPP (glass passivated package) bridge rectifiers needed for Apple’s wireless charger AirPower, according to industry sources,” Julian Ho and Willis Ke report for DigiTimes. 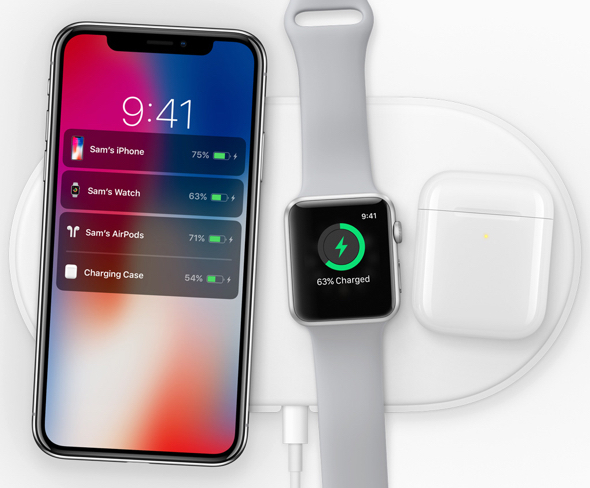 “The sources said that Apple’s AirPower wireless charger for iPhones, Apple Watch and AirPods is set to be officially launched in late March, which will significantly drive up Lite-On’s revenues for the second quarter of 2019,” Ho and Ke report. MacDailyNews Take: It’s certainly been an embarassingly long time coming. Anyone else think that white pad is going to get pretty smudgy and gross pretty quickly? I’m thinking they switch the pad from three devices to two. That shouldn’t be too difficult to create. Especially if you make it small enough that two devices can only fit in one configuration. People are sure making a big deal out of a wireless charger. I mean, there are other multiple device wireless chargers out there, so what makes Apple’s charger so special, besides a likely outrageous price tag. It had been said Apple ran into problems with AirPower and that’s what took it so long to market. I suppose they never said what the actual problems were. Hard to get parts in quantity, maybe. nothing in your list makes it superior or compelling. it’s a dual charger that costs more than twice what individual Qi chargers cost, and five times what a conventional faster wired charger costs. And it’s a piece of ugly white plastic. Qi charging mat be the most overrated useless feature ever. I’d rather have a more efficient slim cable on my desk than this expensive slow charging POS. For a company that preaches about being such an environmental steward, it produces way too much badly designed white plastic junk. From China, soon to a landfill near you.